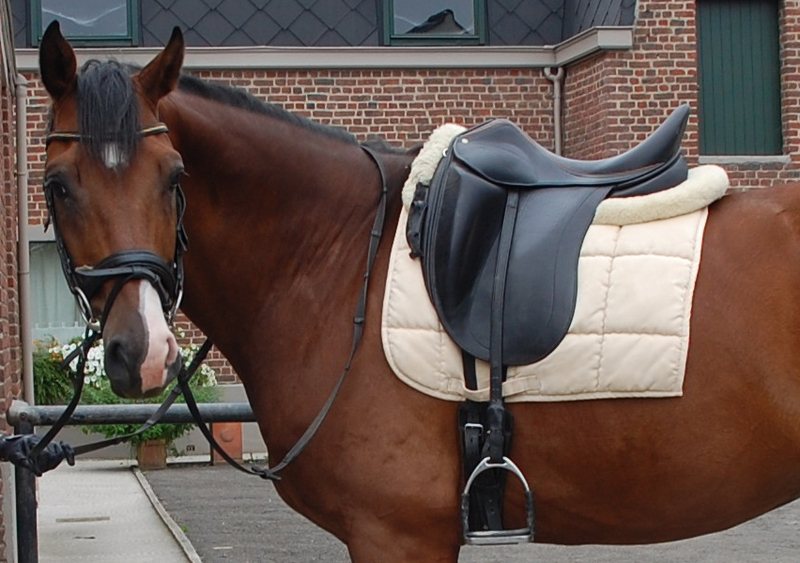 You don't want to invest a huge amount in a new saddle (which will loose a big part of its value within 6 months)? We offer you an alternative : a large choice of top quality used saddles, in a wide price-range and from various brands (Kieffer, KN, Schumacher, Passier, Euroriding, Barnsby, Anky, Ainsley, Hulsebos, Prestige, Forestier, Bates, Wintec, Zaldi, Jorge Canaves, Kentaur…). You will find the available saddles on your left. If you do not find what you are looking for, send us an email and we will try to help you ! We receive each week new saddles in stock. You can visit us to see the saddles (on appointment only). We are located in Ecaussinnes in Belgium, 40 km under Brussels. We can also ship the saddles. For more information or to make an appointment, you can reach us at the phone number +32 474 28 40 28 or per email. Please note that our prices are firm !